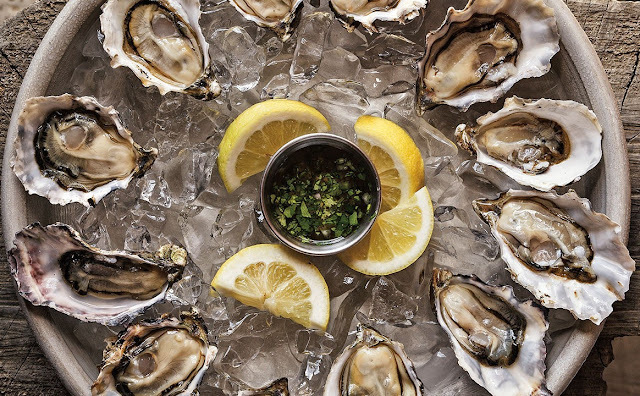 New York Times Styles Magazine – "With Cultivation, Have Oysters Become Too Perfect?" "Yet in its new popularity, the oyster has lost something of its threat, its divisiveness and, therefore, its romance. They are bizarre creatures, hiding inside their rocky homes, holding their door to the world closed with every ounce of their strength. And so they have also become a kind of initiation into the realm of adult pleasures: “For I was fifteen / and eating oysters / and the child was defeated. / The woman won,” the poet Anne Sexton wrote in 1972 of her first. Through increasing refinement, they’ve become less dangerous and more predictable, no longer that dare we once knew. As we’ve done with many things in nature, we have sacrificed their weirdness for our own ease and pleasure. What was complicated is now merely delicious — because we made it that way."